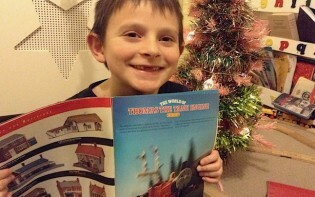 Anyone who’s read my features before know I’m a boy who really really loves trains (I’m totally obsessed!). 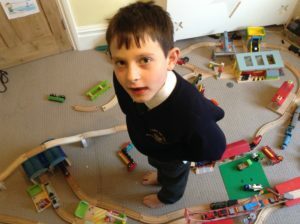 Whether it’s a plastic motorised trackmaster, Hornby or metal Take n Plays – every one of these make my life wonderful. However, it’s the wooden track and trains which I prefer the most; they feel much nicer in my hands (my mum says it’s because they’re made from natural things). I think before I was born, the UK used to make loads of wooden trains, so most kids had them. However when Fisher Price created the metal Take n Play, which was affordable and came with fun and colourful plastic play-sets, so the heavier and more expensive wooden trains took a bit of a back seat. In 2016 sees everything changing. This year Ravensburger bought Brio and saved the day. Wow, what Brio is now creating makes my head spin in circles, it’s so awesome! For my birthday this year, I was given a two-part train which had an opening roof to allow us kids to slot in the little play-people that came with it – makes playing so much more fun! Trains are so much fun! 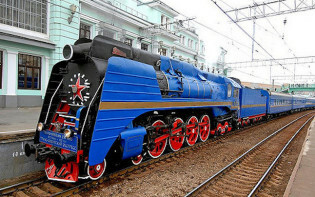 I’ve seen there’s a matching train, which is remote control too. It runs on a wooden track and children as young as 3 years old are able play with it and it’s remote! 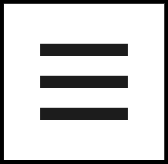 Do you know what this means? It means we able to sidestep having to get out the big fiddly Hornby track every time we want to play with a remote train, we mix it into our normal wooden sets. It’s brilliant! Now us kids who enjoy making mini train movies on our ipads do it easily, we start the camera and move the train from the other side of the room by using the remote control. Awesome! I’m only dreaming about this though! I still want one and it’s on my list to Santa. There is more! 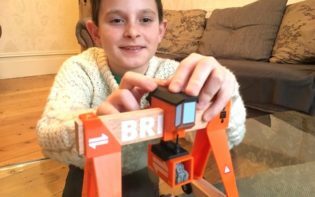 Brio know us kids push more than trains around tracks all the time (we like to create stories which means we need towns, as well as trains), so they’ve invented other buildings for us to use. My favourite is the Brio Fire Station. It’s MASSIVE so there’s loads of space for us to push our arms through and move characters around inside, plus it has lights and sounds. When the alarm goes off, down shoot the firemen and off whizzes the fire engine to the train sheds to splosh water all over the roaring fire. So cool! 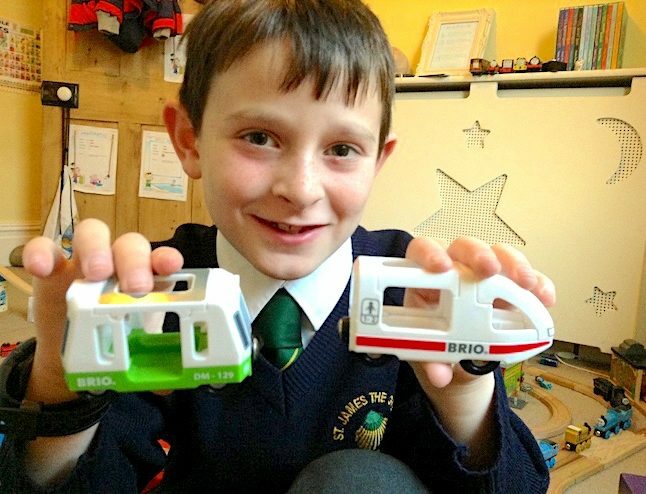 Whatever age, anyone may play with Brio. Toddlers throw the toys around safely and they scarcely break, or if they might chew on them, any parts are unable to be swallowed. Whereas older boys like me may create our own towns and stations and make movies, which is what I do (when I grow up more I’m going to put my movies up on YouTube for everyone to watch). What are you asking Santa for Christmas?